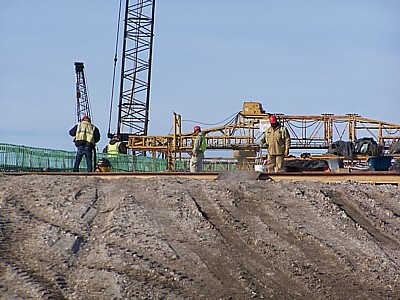 This photo shows the frame of the end bent on the island side on top of built up soil. 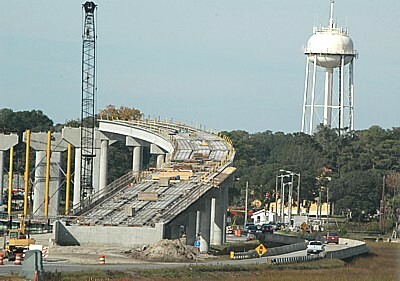 The end bent is being constructed now. 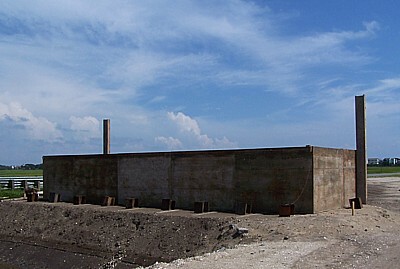 These columns are on the island side. 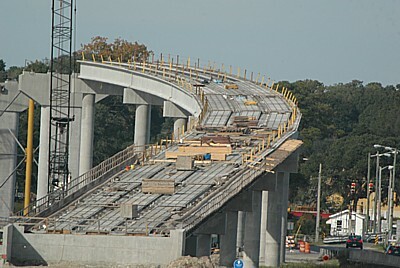 The end bent is further in this direction. 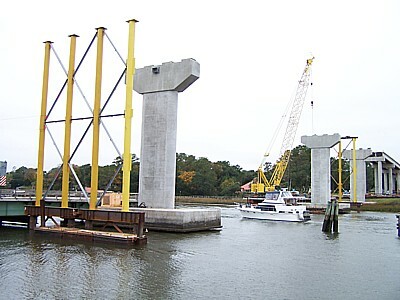 Temporary yellow support towers or columns have been added on each side of the 230-foot waterway "opening." 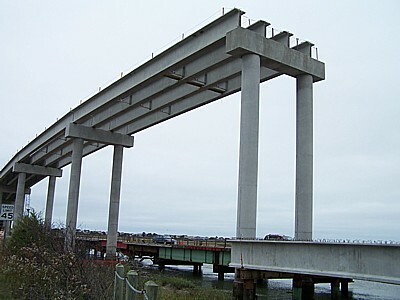 Parallel to the causeway, columns support girders. 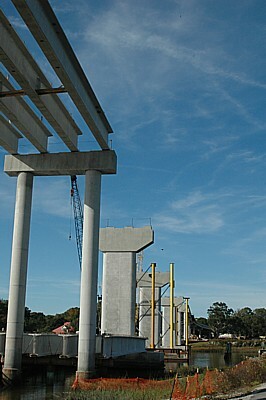 The end bent shown above on August 23, 2009, is now connected to the overpass shown in the above two photos. 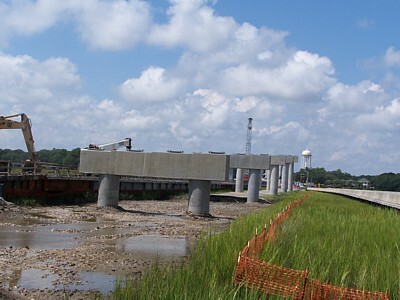 Portion of bridge on island side. 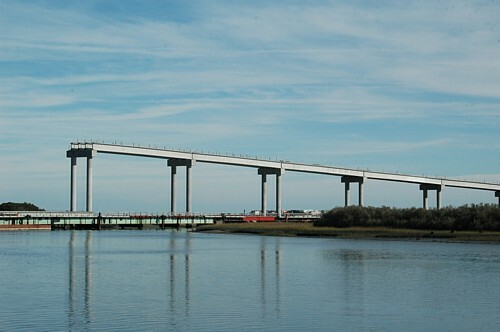 230-foot waterway opening will be to the left. 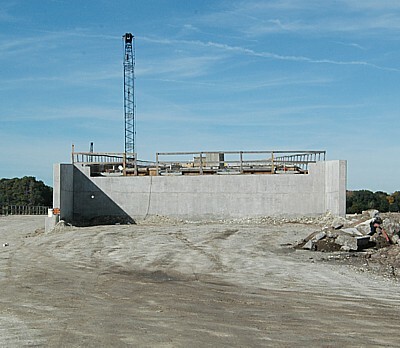 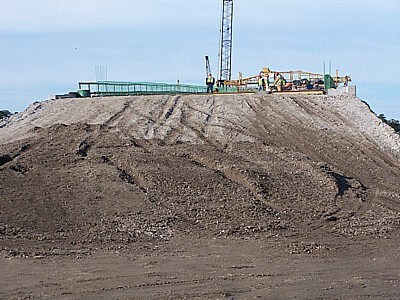 These photos show the rip rap and dirt built up to support cars going to or from the causeway as they enter or exit the bridge on the island side. 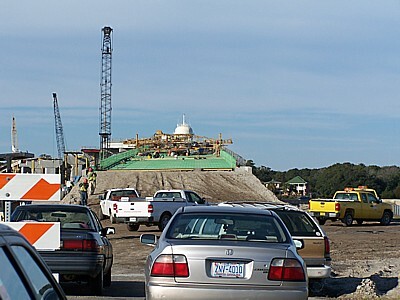 In these photos men the bevy of vehicles driven by workmen can be seen while they work on the final rebars on the island end of the bridge ramp. 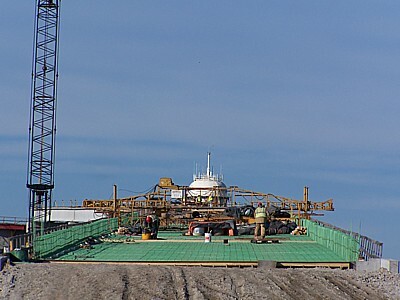 They are making final adjustments before pouring concrete into and over the rebars.